November 21 – UEFA looks set to fast-track the implementation of video assistant referees (VAR) for the knockout stages of this season’s Champions League after growing pressure to fall into line with most of Europe’s domestic leagues and following the system’s success at the World Cup. 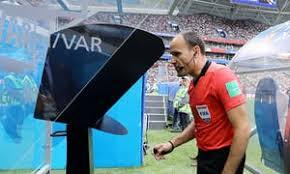 Having initially ruled out VAR for the current term, UEFA president Aleksander Ceferin and European Club Association chief Andrea Agnelli hinted on Tuesday that a volte-face could take place at UEFA’s executive committee in Dublin on December 3. The absence of VAR in the Champions League group stage has provided several controversial moments, notably the laughable penalty awarded to Manchester City after Raheem Sterling stubbed his foot in the turf but was judged to have been fouled by a Shakhtar Donetsk player.